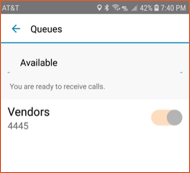 If you are part of a call center, Voyant Connect will allow you to login and out of the call center or change your status. 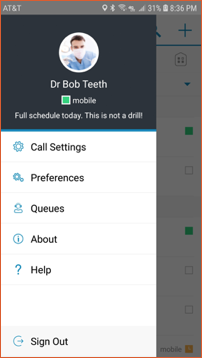 To access the call center options, touch the main menu in the upper left corner and choose Queues. If you don’t see Queues, then you aren’t a member of a call center.